With Ceramic Coatings becoming increasingly popular, we decided to put together this article to highlight information in relation to the application and use of Ceramic based coatings, well, worth a read if you are looking to invest in years of protection. 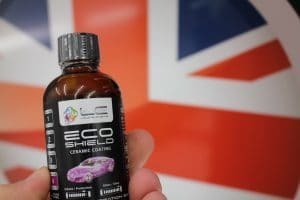 Most Ceramic Coatings should be applied in temperatures of 11C upwards, this is particularly true with Liquidelements.de ECO Shield and once applied takes between 4-6 hours to weather proof. We always advise that the vehicle is left overnight to cure. The application of Ceramic Coatings are becoming increasingly popular, however manufacturers generally advise against the application of such coatings outdoors due to the climate, temperature and outdoor environment. All of these factors play an important part in the application and expected durability of the coating therefore should be avoided to prevent loss of productivity/poor durability. We are the first company in the county of Norfolk to open a sole purpose built detailing studio which represents a clean environment where working conditions can be monitored by staff. We also use Infrared drying systems to support the curing of the Ceramic Coatings, this allows us to control the temperature. Whilst we offer full mobile coverage across Norfolk & Suffolk Ceramic Coatings are strictly carried out at our studio only. Mobile work cannot be warranted unless adequate indoor premises are made available and inspected to be suitable. Don’t just take our word for it, contact the manufacturer directly and ask them on the ideal working conditions for Ceramic Based Coatings!